Drill sharpener is used to sharpen milling cutters and tool bits along with a host of other cutting tools. 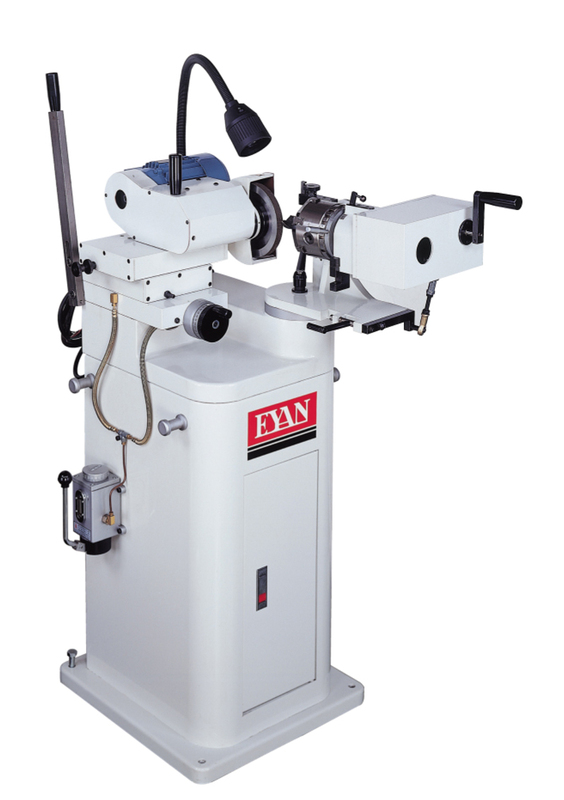 It is an extremely versatile machine used to perform a variety of grinding operations, surface, cylindrical, or for the grinding of complex shapes. The image shows a manually operated setup, however highly automated Computerized Numerical Control (CNC) machines are becoming increasingly common due to the complexities involved in the process. Drill sharpener is mainly applied to 1. CNC lathe 2. CNC Machining Center 3 Die Making. 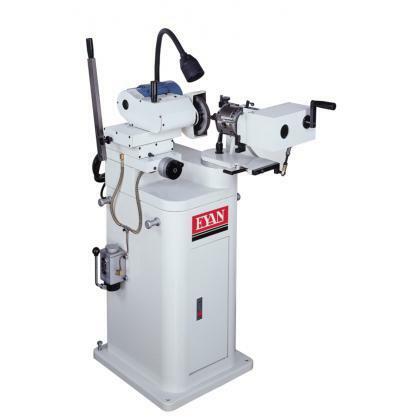 1.Cam device:This machine comes with four cams ranging from no.1 to no.4.Simply change the cam when grinding to grind drill,end mill cutter,chamfering cutter,tap,center drill and etc. 2.Drill positioning device:Grind drill of different diameters by adjusting the graduation according to the desired diameter and placing any cutting edge of the drill parallel to the positioning device.This method appllies to all other. 3.The firest one created that moves in up-down vibration to sharpen drills.Use a chuck to clamp drill that can up and down vibration,and automatically change angles to sharpen front edge angles,debris angle,slice drills and still center point can be clamp together and can be sharpened together in one process.It display a hogh effciency and high precision sharpening drills. 4.Adjusting button for rake angle of drill:The adjusting button controls the size of rake angle of the drill.When sharper edge is desired,turn more of the number-controlled button to get a greater graduation reading so as to have a sharper edge ground.